This is an annual training event sponsored by the IKKF. 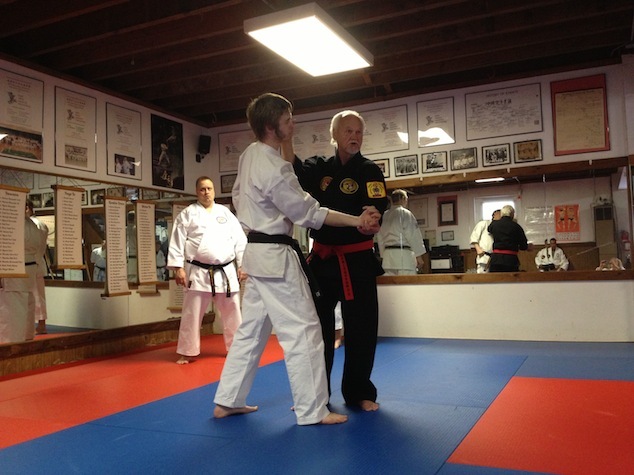 The training had the following as Seminar Instructors: Hanshi C. Bruce Heilman, 10th Dan; Hanshi Miguel Ibarra, 10th Dan; Hanshi Jody Paul, 9th Dan; and Hanshi Ann-Marie Heilman, 9th Dan. We were also assisted by our IKKF Kyoshi and Renshi members attending. 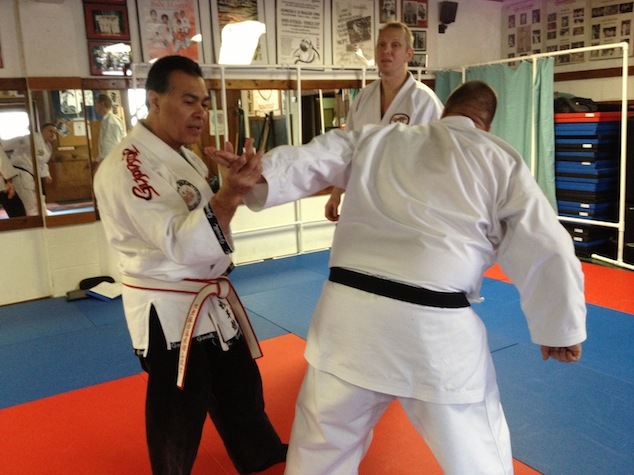 The two day training focused on Okinawa Kenpo Karate (kata and bunkai), Okinawa Kenpo Kobudo (kata, bunkai and two person forms), Okinawan Toide (joint locking and nerve points), and Aiki-Jujitsu (grappling and joint manipulations). The training was held on January 25-26, 2014 at the IKKF Honbu, Reading, Pennsylvania. A couple photos from the event are presented below. Hanshi Paul explaining the finer points of a wrist technique. 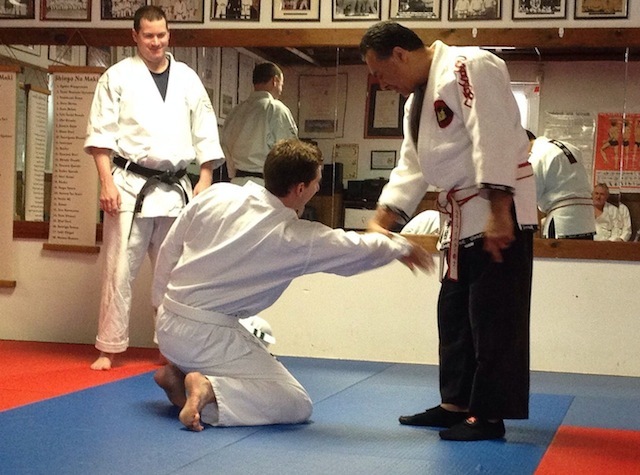 Hanshi Ibarra ("Mr. Pain") introducing seminar participant to the joys of his art. 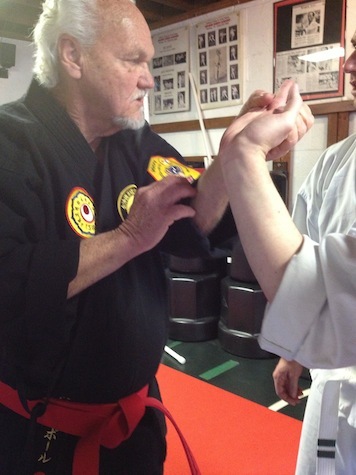 "Captain Mike" from the HKA Dojo getting his first introduction to wrist manipulations that brought him to his knees. Note: Mr. Mest in background with smile on his face enjoying the technique being applied to someone else. Hanshi Paul explaining body positioning needed for application of Motobu-ryu Toide technique.